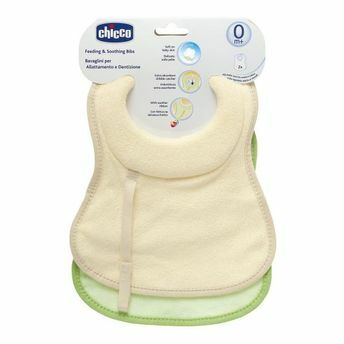 Chicco's Feeding & Soothing Bibs are ideal to be used during feeding the babies to save the clothes from staining or catch any unpleasant odors. With a soft and extra absorbent dribble catcher, these bibs are perfect for little infants who are learning to eat. Since you can attach the soother to the ribbon, it always stays put and won't fall to the ground.